Do you ever wish you could keep plants…without killing them? Wouldn’t an immortal cactus look splendid on your (home) office desk or window ledge? As someone who struggles with sustaining healthy house plants, I can appreciate a cute plant with a bit of resiliency. 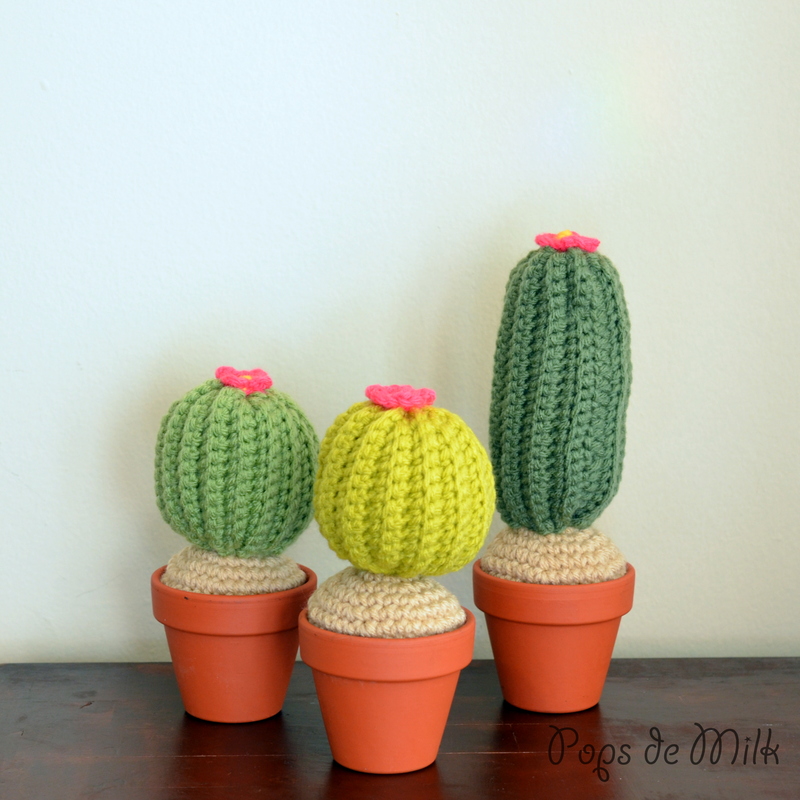 So if you’re constantly wishing you could add a little green to your décor why not try an easy to care for crochet cactus? It will never water, sunlight, or soil. This would also make a great gift for anyone looking to bling out their home or office with something adorable. And if you’ve got kids or pets you won’t have to worry about curious little paws getting poked. Naturally, your crochet cactus can be any kind of cactus. This pattern will show you to make a round cactus of any height, but there is nothing stopping you from making a giant Saguaro with multiple, more narrow arms, or a flatter cactus, like a Prickly Pear. Any respectable garden will be vibrent with color, a crochet succulent garden is no different. 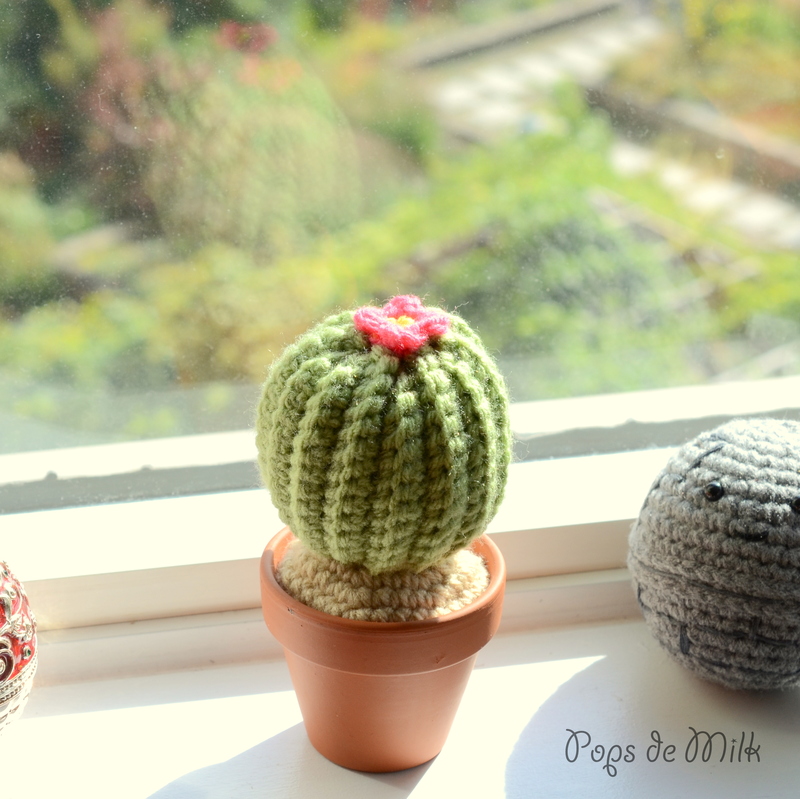 Try making your crochet cacti with different coloured yarns and tag #popsdemilk on Instagram or Twitter and show me your succulent wall! 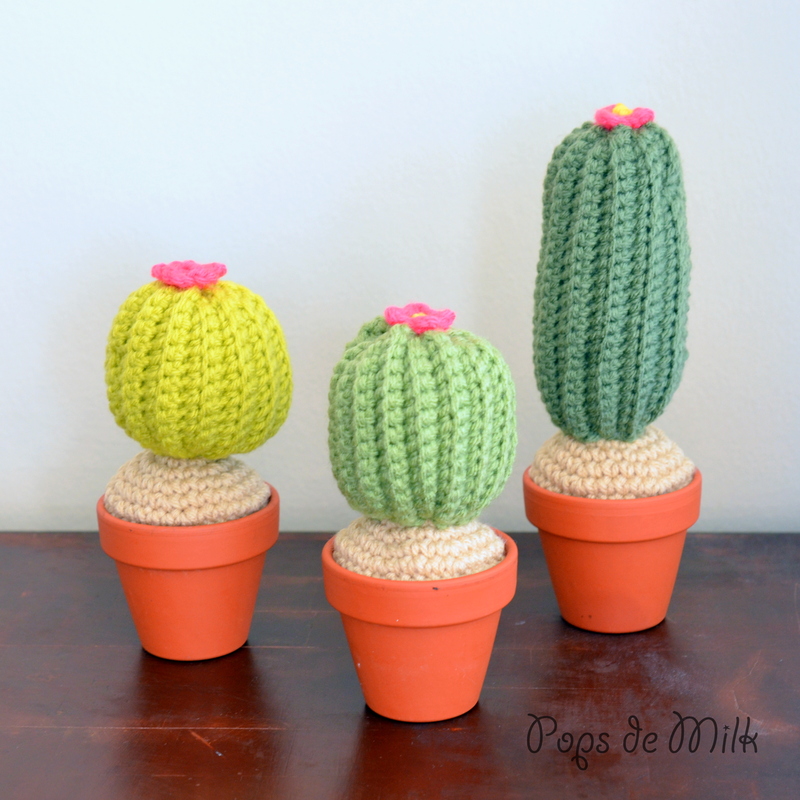 I’m always a sucker for a sweet smile, if you are too, you can add a face to your crochet cactus to give it some character and voilà, you have an amigurumi cactus! 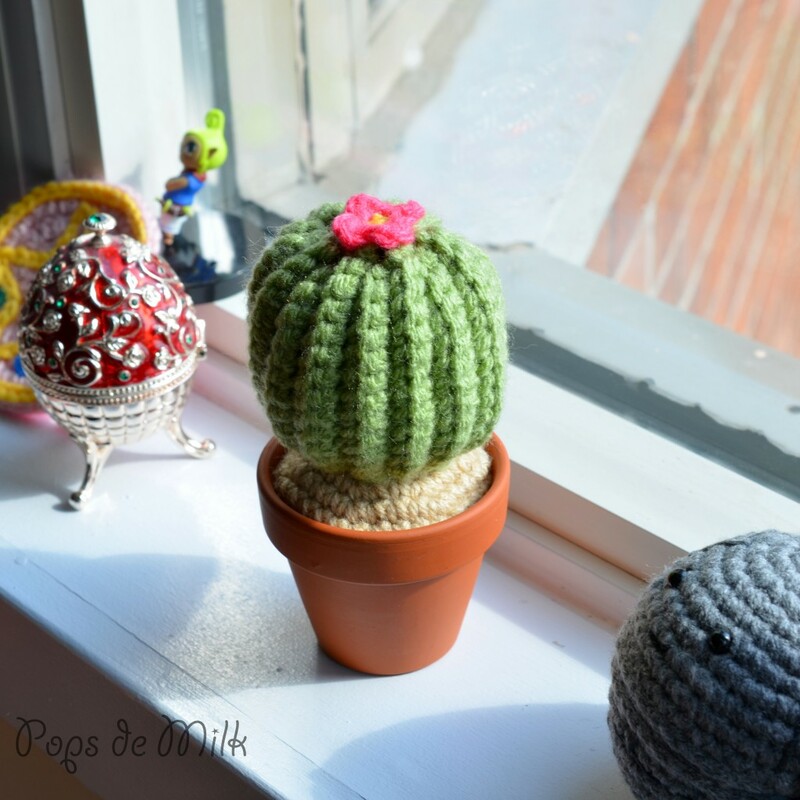 This is a great crochet beginner project, What’s not to love about this cuddly cactus! Pattern is in the Pops de Milk Shop! -Worsted weight yarn – I’m using Bernat – Fern, Tan, small amounts of Yellow, and Hot Pink acrylic yarn. Lovely little cacti; thanks for providing a pattern! You could use these as pin cushions and the straight pins would look like cactus spines! I can’t wait to make some. Thank you! Love the pin cushion idea so much I think I might make a few more of these just for the craft workspace hehe. Omg these are awesome! Pinned!